Are you continually frustrated with your musical performance, constantly wishing that the outcome would be better? Or do you feel rushed in the practice room, like you’re always trying to catch up, but getting nowhere? Stage-fright, competition, and lack of focus are destroying your musical potential. 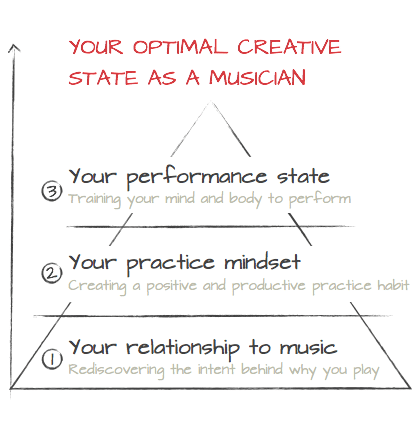 It’s time to reprogram your musical mind, and learn to easily reach your optimal creative state as a musician. It’s embarrassing even sharing this, but to be completely honest, I would literally shake. And even when I practiced many hours, sure enough I’d get up there, and forget everything. There are a million things wrong with this scenario, but the main one is this: playing and performing music is supposed to be fun. Each day thousands of musicians head into the practice room or walk on stage inspired and excited to create music only to find themselves caught up in competition with other players, struggling with nerves, rushing to improve, or frustrated with unproductive practice. We’ve all experienced these musical obstacles and the inevitable feelings of self-doubt, jealousy, and discouragement that come with them. But the one essential piece that’s missing in this process is your mental approach to music. The thoughts, attitudes and beliefs of the person behind the instrument. And it’s this mental approach that sets the best players apart from the many struggling musicians. To start making a real breakthrough with your music you need to learn how to approach music in a way that’s productive and inspires confidence. You need to develop a mindset that will set you up for creative freedom and guide you through the inevitable roadblocks that every musician encounters. Our course Reprogramming the Musical Mind is a 30 day audio course that focuses on the one thing most musicians and courses ignore: the musician behind the instrument. It’s time to hit the reset button on the old way of approaching music and tap into your musical potential. Inside we’ve taken the same techniques that sports psychologists, Olympic athletes, and other world class performers use to overcome mental obstacles and achieve peak performance, and applied them to the specific challenges that musicians face everyday. 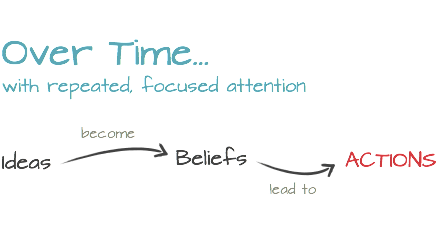 With a consistent plan aimed at harnessing the power and creative potential of your mind, you’ll use carefully selected thoughts, visualizations, and messages that will lead to positive real-life actions as a musician. And the same is true for your journey as a musician. It’s your mental approach to music that will either set you on the path to achieving your goals or leave you frustrated and struggling in the practice room. Throughout the course you’ll learn to use essential mental tools like meditation, self hypnosis, affirmation, mantras, and visualization to reprogram how you relate to the practice and performance of music. And if you’re thinking…affirmations, mantras, meditation? This sounds really “new agey” and totally unrelated to music or jazz improvisation, I totally get it. But in this program they’re just used as tools to accomplish one simple thing: create positive thought patterns in your mind. Over the course of each daily lesson you’ll gradually remove the mental barriers and limiting mindsets that are negatively affecting your performance and replace them with positive affirmations and beliefs that will lead to real results in your playing. With the skills you acquire in this course you’ll be able to free your mind from the negative thoughts and attitudes that hinder the creative spirit. 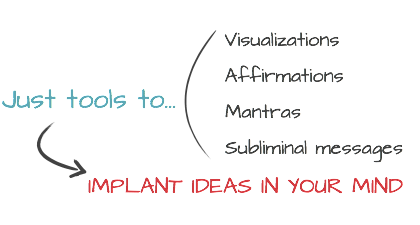 So, you don’t need to be into meditation, hypnosis, or mantras, or even have any experience or desire to ever learn about these things to benefit from this program. 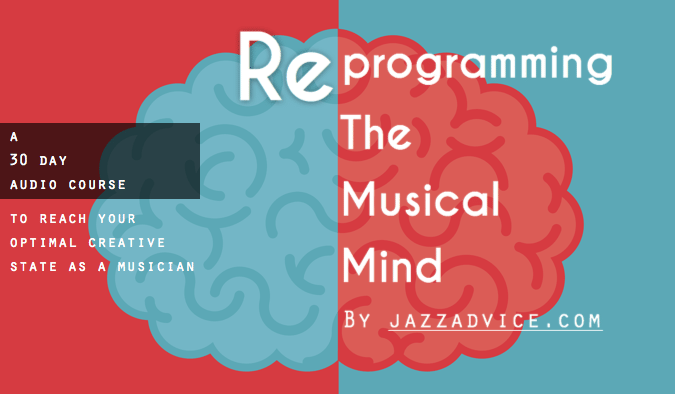 Reprogramming the Musical Mind is built for musicians of all skill levels and genres, focusing on the situations that every musician deals with day in and day out. If you’re frustrated with your musical progress and you know you have more musical potential you will greatly benefit from this 30 day course. From music performance anxiety to dealing with competition, this course will walk you through step-by-step how to overcome these obstacles. Once you complete the course, review tracks are provide to periodically brush up on your newly acquired skills. At the start of each of the 3 sections, you’ll listen to a brief lecture about the problems you’re going to focus on and solve. This lecture puts your “reprogramming” work into context. And each day of the course is set up sequentially, building upon the day that came before it gradually mixing in new affirmations, visualizations and ideas, while strengthening what you worked on in previous days. All you do is press play and follow along. In time, the ideas and affirmations you’re listening to will become your own, leading you to new beliefs and actions in your daily life. By focusing on the right ideas – training your mind and body to act, feel, and perform the way you want it to – you’ll begin to achieve your musical goals. However, telling a player to “Imagine a great performance,” or to simply relax isn’t going to magically result in a great performance. That’s because it’s attacking the symptoms of the problem without any real-world applications or plans of action. To be effective, you need to make a change at a much deeper level. Before you even get to performing or practicing, you need to make a change at the root of the problem. A great performance starts in the practice room. If your practice mindset lacks, so will your performance. And a great practice mindset is grounded in how you relate to music – your personal relationship to music. This course reprograms your thoughts from the ground up, so you can get back to what it is you want to do: play and perform music at your very best. A: No. The audio tracks in the Reprogramming Course are self-hypnosis type tracks. If you missed it, there’s an example on this page where we take you through the process. Q: I’m not into meditation or affirmation type stuff. Should I buy this course? A: If you don’t like meditation or self-hypnosis, you may want to think twice, because that’s what you’ll be doing for 30 days straight. Will you benefit? Yes. If you can put your preconceptions about these things aside, understand that they’re just tools in the process and work through the daily program, then go for it. A: Yes. All musicians of any style of music can use this course. A: All levels of musicians can use this course.